Osaka, Japan – For many years, radioactive iodine which emits beta rays has been used for treatment of thyroid cancer. Generally, 5-year survival rates may exceed 90%. However, some thyroid tumors become resistant to iodine treatment (“iodine-refractory”), and a breakthrough approach is needed. Many research groups have attempted to determine new methods for treatment of iodine-refractory thyroid cancer; none have shown compelling results–until now. 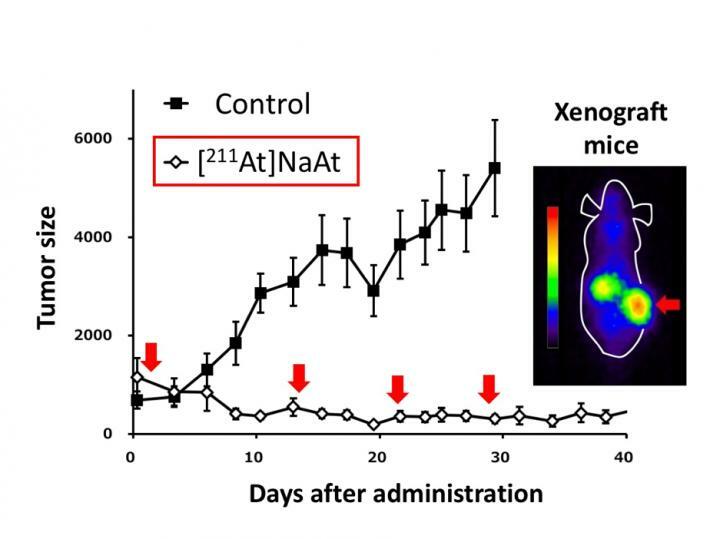 The article, “Enhancement of astatine-211 uptake via the sodium iodide symporter by the addition of ascorbic acid in targeted alpha therapy of thyroid cancer,” was published in the Journal of Nuclear Medicine at DOI: https://doi.org/10.2967/jnumed.118.222638.